Well, it arrived today. 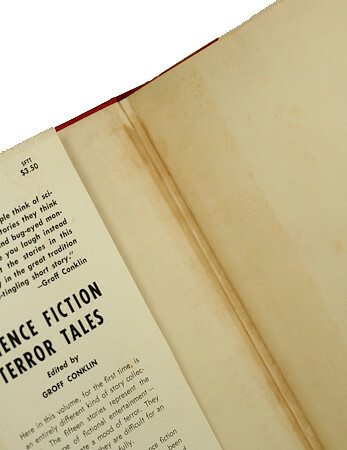 Science Fiction Terror Tales. I’m very happy with it and a Gnome Press dream is fulfilled. I am of course very eager to get the Close Up done, I’ll be photographing it this evening, so expect something in the next few days. This morning I picked up one of the marquee titles in the Gnome Press line-up. 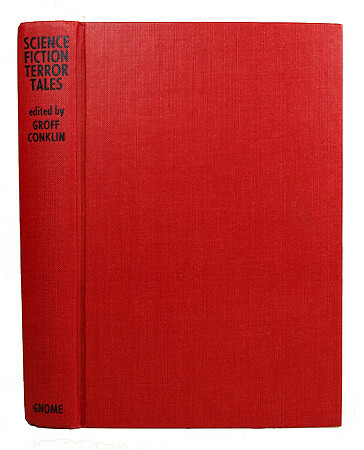 Science Fiction Terror Tales edited by Groff Conklin. I didn’t really mean to win it either. It started at $195 and I put in a maximum bid of $251. About 30 seconds from the finish someone trumped my max bid. I thought about it a bit and came to the conclusion of “What the hell,” and just as a token I submitted a bid of $260. I was in a rush as time was obviously ticking away and in the last couple of seconds I got it in. Unbeknown to me, I had inadvertently hit the ‘9’ instead of the ‘0’ and entered $269 by mistake. 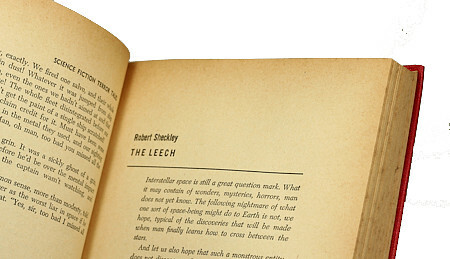 This rushed mistake won me the auction – beating the other bidder at $266.88. A happy mistake. Now all I have to do is pay for it. So, I’m also going to pay for this mistake. 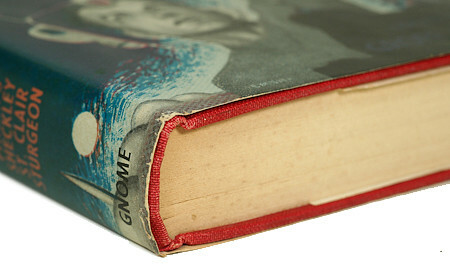 For what looks to be at least a VG copy of what is by popular wisdom the rarest of the GP titles, it’s a fair price. I am very excited about receiving this. 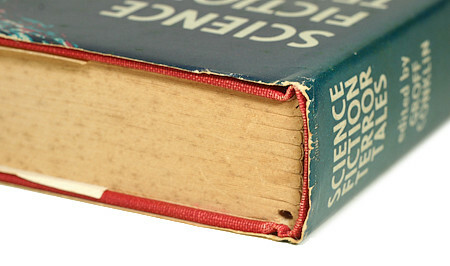 It’s also, incidentally, the first book in the 50 – 75% bracket of books obtained. A great way to kick off the third quarter. 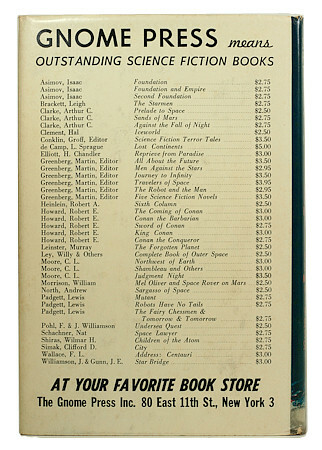 I’m currently reading Five Science Fiction Novels put together by Martin Greenberg. Just to be different (I like thinking of ways to be a little different), I’m going to read and review each of the five separate stories in between reading other books. At the end, I’ll average the ratings to arrive at a final one for the anthology. Sound like a plan?? Cool. 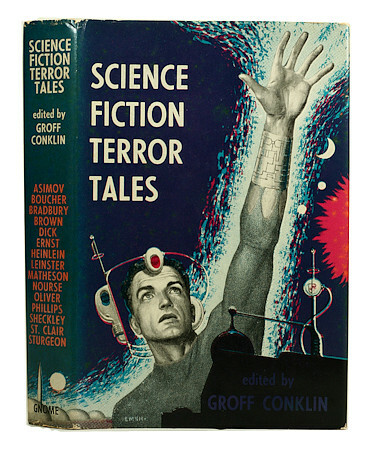 A copy of Groff Conklin‘s anthology Science Fiction Terror Tales went for $75 on eBay the other day. I was sorely tempted to bid. This is one of the rarer GP titles, but albeit in reasonable condition, it was an ex-library copy with the associated defects.